The new emoji appeared on an update to Apple's mobile operating software, iOS 8.3, which was rolled out on Wednesday. Some test versions of the software had been in use since February. 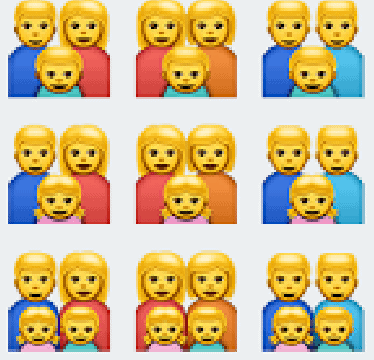 The new emoji include illustrations of families with families that include two male parents or two female parents. 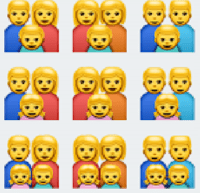 The updated emojis also include characters of various races, as previously announced by the Unicode Consortium which sets international rules for text and characters to insure consistency across platforms.